Sarcopenia and physical activity in older male cardiac patients. There is little information on the association of sarcopenia with physical activity in elderly cardiac patients. This study determined differences in physical activity and cutoff values for physical activity according to the presence or absence of sarcopenia in elderly male cardiac patients. Sixty-seven consecutive men aged ≥65 years with cardiac disease were enrolled. We defined sarcopenia using the European Working Group on Sarcopenia in Older People algorithm. Patients were divided into the sarcopenia group (n=25) and the non-sarcopenia group (n=42). 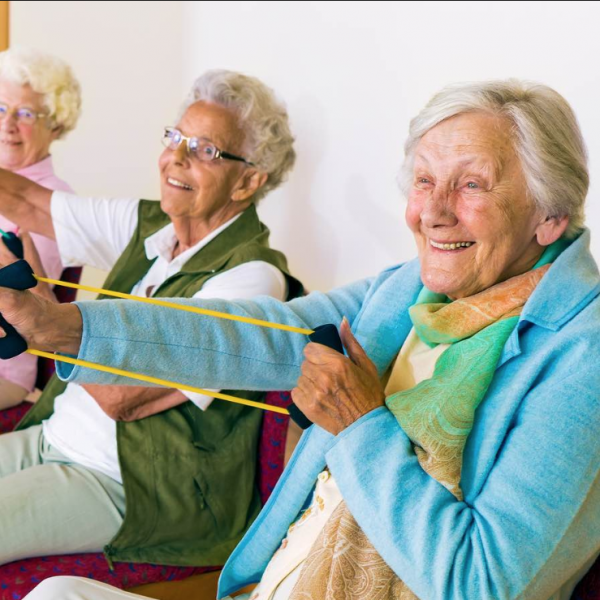 In the patients with and without sarcopenia of physical activities were evaluated to determine cutoff values of physical activity. After adjusting for patient characteristics, both the average daily number of steps (3361.43±793.23 vs. 5991.55±583.57 steps, P=0.021) and the average daily energy expenditure of physical activity (71.84±22.19 vs. 154.57±16.18kcal, P=0.009) were significantly lower in the sarcopenia versus non-sarcopenia group. Receiver-operating characteristic analysis identified a cutoff value for steps of physical activity of 3551.80steps/day for 1 week, with a sensitivity of 0.73 and 1-specificity of 0.44 and a cutoff value for energy expenditure of physical activity of 85.17kcal/day for 1 week, with a sensitivity of 0.73 and 1-specificity of 0.27. Physical activity in the male cardiac patients with sarcopenia was significantly lower than that in those without sarcopenia. The cutoff values reported here may be useful values to aid in the identification of elderly male cardiac patients with sarcopenia. Izawa K, Watanabe S, Oka K, Kasahara Y, Morio Y, Hiraki K et al. International Journal of Cardiology. 2016;222:457-461.